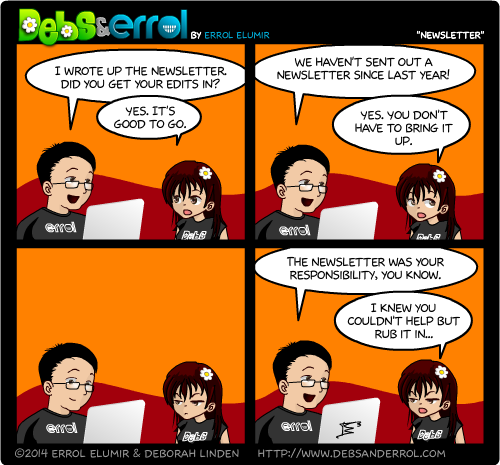 Errol: We have a newsletter! We talk about things in the newsletter, like our shows, our videos! Sometimes, we put up an exclusive comic. Join! Be part of the nerd kids! Also, this is post #1111 on the site, so make a wish! Or maybe post #1112. Make a wish anyway. I thought you were on it already, Nur! Why, I mean, uh, of course I am. They do, there’s a mailing list you can join for it in the sidebar.